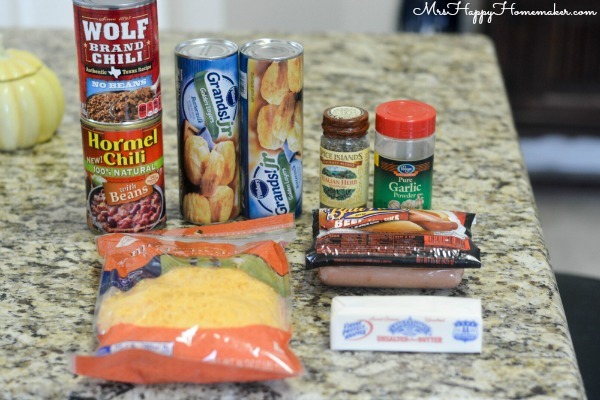 You can do this Chili Cheese Dog Casserole 2 ways – both ways are so very good! You may already have everything on hand to make it too. The flavor along with it’s simplicity & quick preparation has all the makings of a winning recipe. 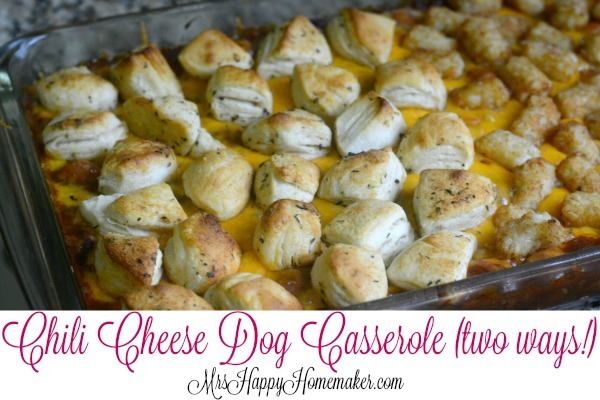 If you like chili cheese dogs, you’re gonna fall in love with this casserole! 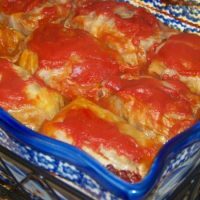 I have loved to cook ever since I made my very first recipe success as a kid – but when my husband passed away, I stopped cooking all together for a couple months. Bojangles was my family’s best friend. But then, I realized I missed cooking… so slowly, I started easing back in. 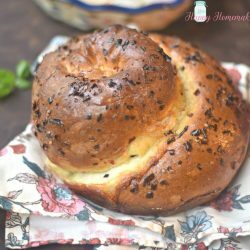 Those of you who have followed me for some time already know how much I love easy recipes just as much as I love cooking things completely from scratch with no shortcuts. For me, being a young recent widow with 3 children – easing back into cooking meant lots of simple & fast recipes. 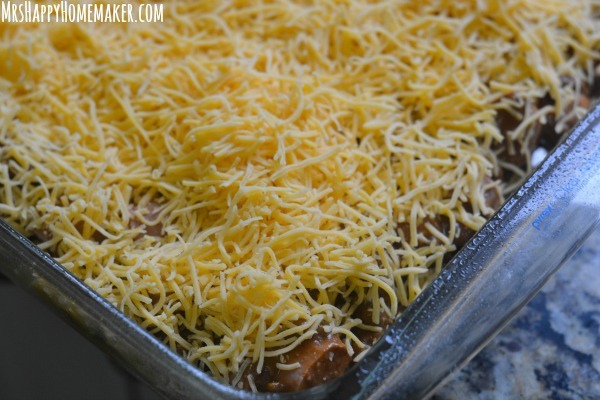 This Chili Cheese Dog Casserole has turned into a favorite around here because it fits in that category oh-so-well… and it’s actually delicious. Like really delicious. 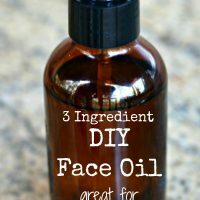 Here’s what you need. Well, that’s what you need if you’re doing that biscuit version. 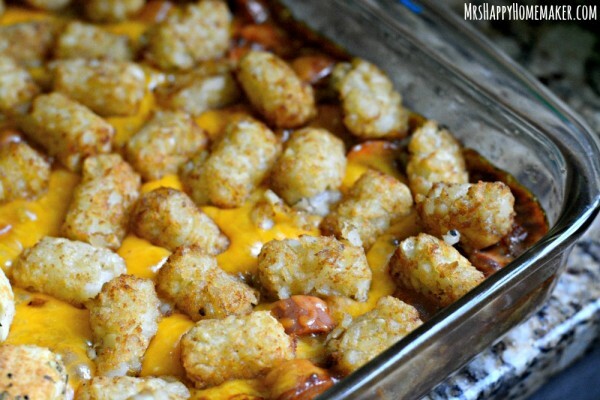 If you are doing the tot version, just imagine those biscuit cans are frozen taters tots instead. K? 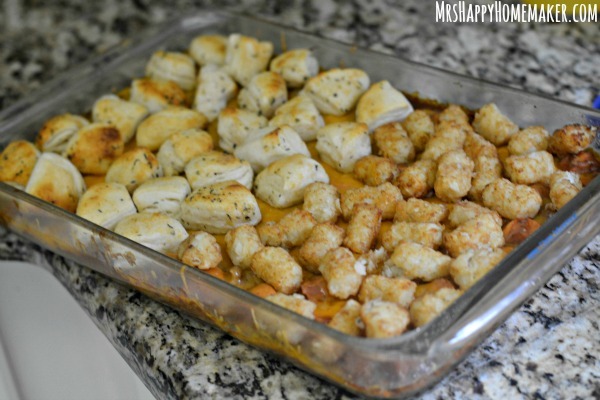 The first step is to make your topping for the casserole – either biscuits or tots, or both. 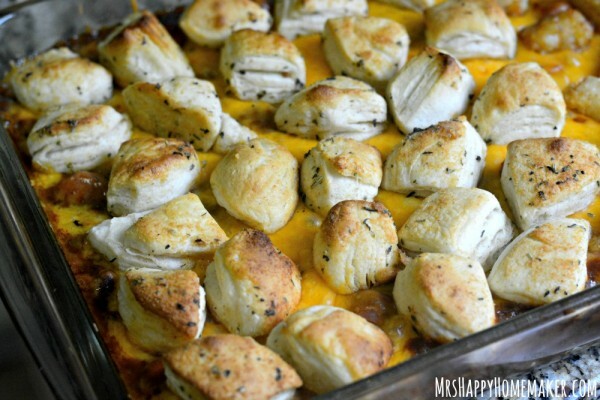 In the original recipe, it calls for biscuits & it tells you to cook them on top of the casserole while it bakes. Bad idea. If you do that, then the biscuits don’t get cooked all the way and you have raw dough as your topping. 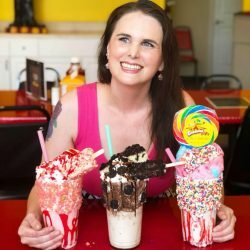 I don’t know about y’all, but I’m not so much for eating raw dough. 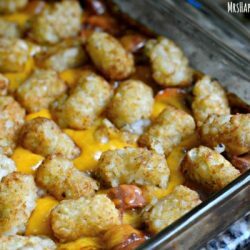 The same thing goes for the tater tots – if you cook them on top of the casserole, the texture is super unpleasant… not awesome like a tater tot should be. For the biscuits, use the grands jr. kind – and cut each biscuit into 4ths. Melt 1/2 stick of butter in the microwave & whisk in 2 tablespoons of garlic powder & 1 tablespoon of Italian seasoning. Dip the biscuits in the butter mixture, & bake according to the can directions, cutting back the cooking time by a few minutes – to where they biscuits are cooked, but lightly browned – not golden browned. You want them done, but not too brown yet. If you’re using tots, then cook those according to the package directions. While those are baking, lets get the casserole going. In a large bowl, combine 1 can of chili with beans with 1 can of chili without beans. Slice up 1 package of all beef hot dogs & stir those in too. 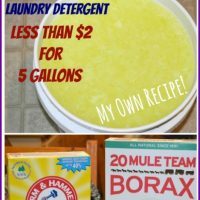 Spread the mixture into a 9×13 casserole dish. 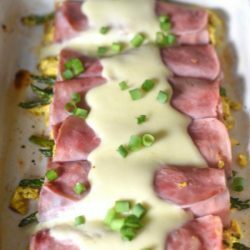 Top with 2 cups of shredded cheddar cheese. Or you can use a little more cheese than that – I won’t tell anyone. 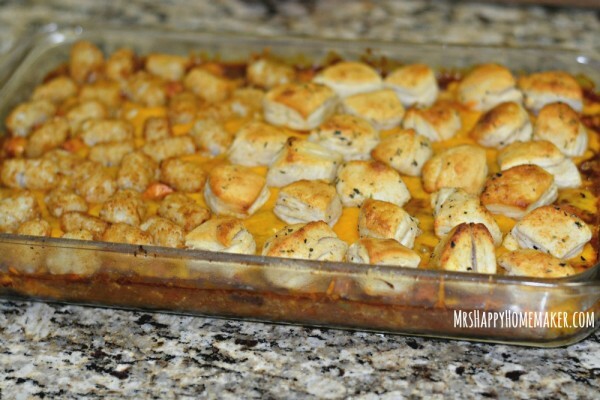 On top of your chili cheese dog casserole, arrange either the mostly cooked biscuits or the fully cooked tots… or if you’re like me, do half & half. 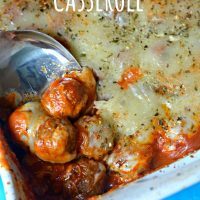 Return the casserole to the oven for 5 minutes. Let cool for a couple minutes before serving. 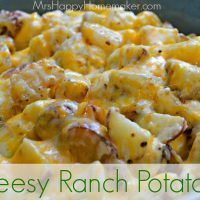 Prepare whichever topping you would like on your casserole – either precook the tater tots or mix the melted butter with the seasonings & bake (refer to the post for more information). Preheat oven to 375 degrees. Combine both cans of chili in a bowl. 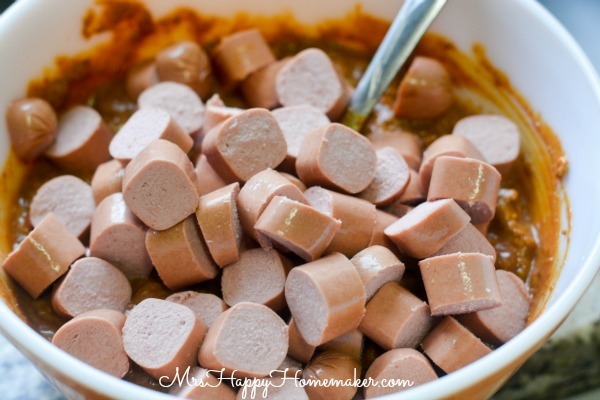 Slice the hot dogs into 1/2″ to 3/4″ rounds, & mix those in too. 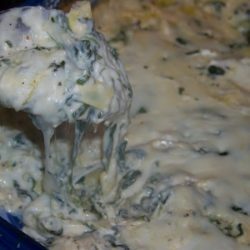 Spread the mixture into a 9×13 casserole dish – top with 2 cups of cheddar cheese. Bake for 15 minutes. 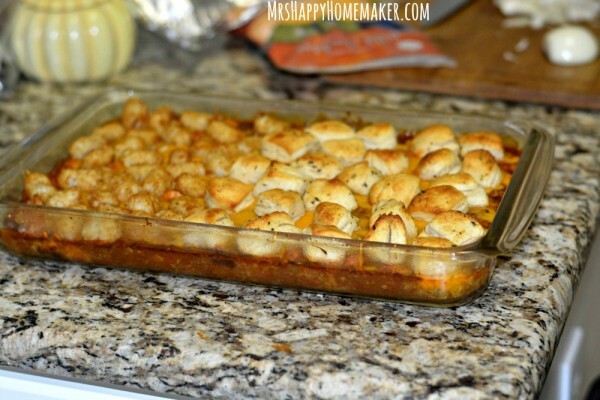 Top with the precooked tots or seasoned biscuit pieces & bake for another 5 minutes. Cool for a couple minutes, & then serve hot. Yum, sounds great. I’ve always loved the taste of chili dogs but hated that they were so hard to eat. This was sounds like you get the deliciousness of the chili dog and can eat it without so much trouble. I always like to put lots of chili on my chili dogs so I can’t just pick them up and eat them like you would a hot dog. But trying to cut them up and eat them never seems to work either. 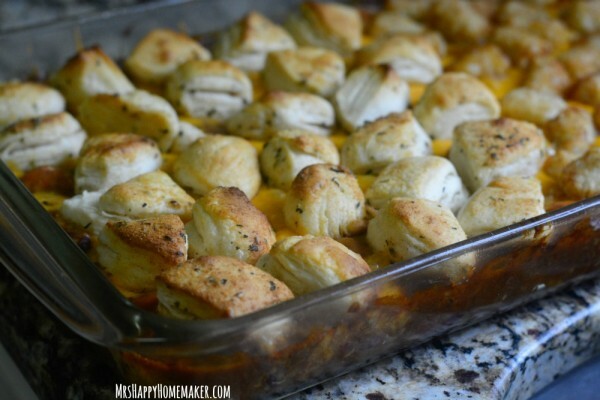 I love the hint about partially baking the biscuit bits and the tater tots fully. I’ve got a couple recipes that call for it and like you, never happy with it. 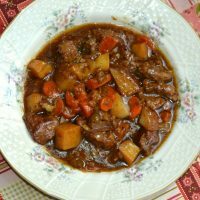 My husband passed away just shy of 2 years ago and I still am not cooking much. Quite a change from the almost every night deal during our 35 years. BUT there is just me and the critters, not 3 hungry growing children. 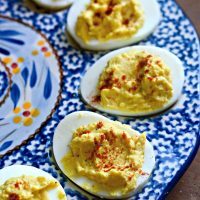 I’m sure your kids are happy that Mama’s back in the kitchen! You must be too? 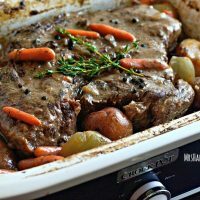 « Previous PostThe BEST Slow Cooker Pot Roast – 5 Ingredients!